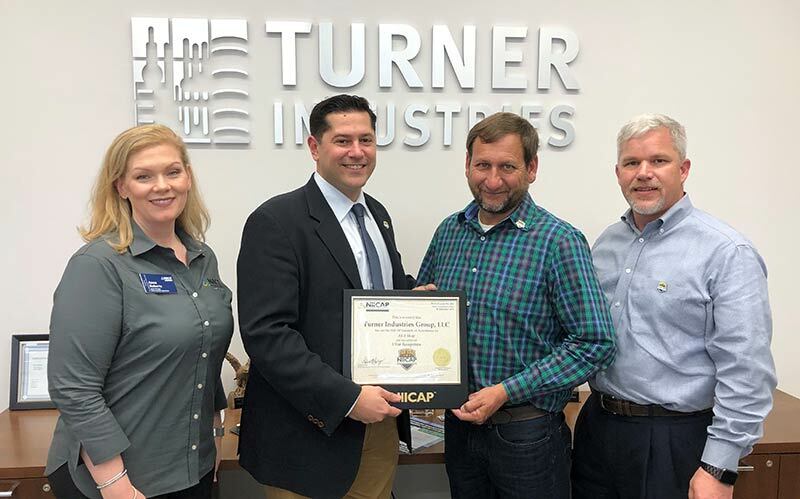 In response to industry demand for a better accreditation program among coatings contractor, the NACE International Institute Contractor Accreditation Program (NIICAP) was created by contractors and asset owners, for contractors and asset owners. NIICAP is the premier industry-driven and industry-managed accreditation program that validates a contractor’s quality assurance program, support practices and production processes. The accreditation protects asset owners from hiring contractors who don’t meet the highest in quality standards, providing an audit and certification program for contractors to set them apart from the competition. In order to create an accreditation program that held the industry to the highest standard, the Institute turned to its board of directors for insight and guidance – a board that solely consists of owners and contractors. The NACE International Institute created NIICAP in 2015 in response to the industry’s request for another option for accreditation. Before NIICAP, there was only one accreditation program for coatings contractors, and many felt that it was not comprehensive. With NIICAP’s entrance into the market, a second option for accreditation was born. The audit process is a critical component of NIICAP. Auditing provides business owners with a guarantee that a contractor they hire is properly trained to do the job. Auditing also allows contractors to set themselves apart from the competition by proving they hold themselves to a higher standard, and enables them get the word out about their company’s credentials. NIICAP’s audit and accreditation process takes approximately one month to complete after a contractor has submitted an application. The process could take more or less time, depending on the number of accreditations for which the contractor is applying. NIICAP uses third-party auditors to ensure a fair process. The standards for NIICAP’s auditing process are clearly posted on NIICAP’s website. Auditing certifies that a contractor is reliable and of high quality, which makes them stand out from the competition. Contractors seek out NIICAP when their technicians suggest the audit or when the owner of a company they work for requires one. NIICAP offers a rewards program to motivate contractors to pass their audits. If a contractor passes three consecutive audits with flying colors, they receive a five-star rating. This rating means that the contractor only has to be audited every 18 months to two years instead of undergoing yearly audits. It also means that they are viewed as a highly accredited company. For owners, NIICAP accreditation provides risk reduction through training. The training NIICAP provides meets the global coatings application standards, which means that all of the contractors who go through the training will subsequently meet the global standard. NIICAP eases the often difficult process of finding quality contractors. Additionally, NIICAP determines that contractors have the right business structure, assets and personnel to complete the job at hand, and follows up to make sure they are performing as expected and required. In this way, NIICAP can protect owners from bad contractors. NIICAP has many advantages for contractors as well. The accreditation system provides a clear definition for standardized quality in shop and field-coating applications. The program also provides training in order to lower risk and ensure that contractors meet global standards. Contractors who have in-house training can obtain AS-3 accreditation, which saves them money by not having to use an outside training service while still meeting global standards. There are multiple accreditation options for coating contractors through NIICAP that were previously absent in the industry. Being an accredited contractor shows company owners that the contractor takes pride in and stands by their work. It also increases the contractor’s value in the marketplace and provides legitimacy in the industry. Jeremi R. Day, Sr. knows the NIICAP accreditation process well. Day is a Protective Coating Specialist and Quality Control Manager for Blastco in Texas and California. Blastco was NIICAP’s first customer and has #001-AS-1 Field and #001-AS-2 Hazardous Waste Removal accreditations through NIICAP. 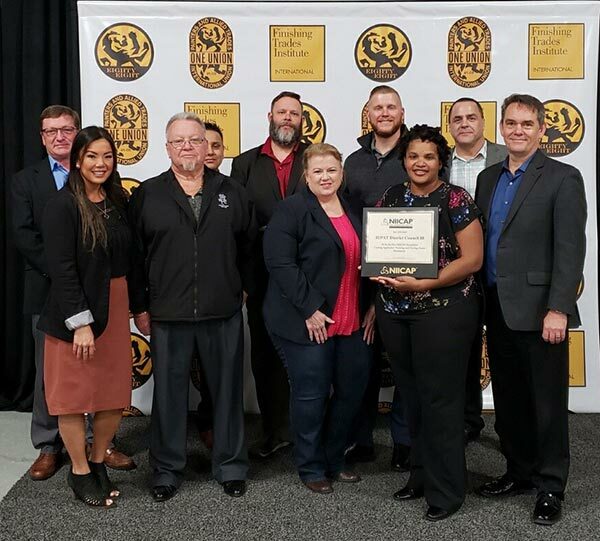 In the industry for more than 20 years, Day manages company accreditations and quality systems in addition to being an instructor for NACE International’s CIP program. It’s safe to say he knows his way around accreditation. NIICAP’s entrance in the market adds another accreditation option for contractors – and perhaps most importantly, one tailored to meet industry demand. NIICAP also generates conversation in the industry about accreditations and the process. NIICAP’s process is more transparent than its competitors. The cost of their service, standards and the life cycle of the process are clear and accessible, and contractor’s questions are answered with ease, all on the NIICAP website. To learn more about NIICAP and the accreditation process, visit NIICAP.net.